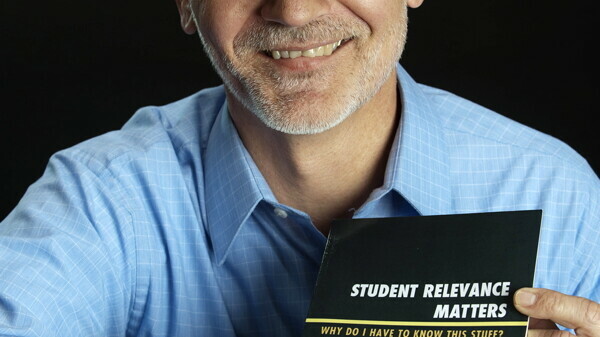 Dr. Michael Kolis, an associate professor of education studies at UWEC, has set his sights on answering the question most students ask at some point in their education, “Why do I need to know this?” in his new book Student Relevance Matters: Why do I have to know this stuff? While you may see little value in your high school algebra class, Kolis explains it may have helped you more then you know. The book begins by explaining the current system of approaching learners, a process based on sorting students instead of teaching students. He then clarifies why he thinks students should know about the subjects they’re learning, and retaining it beyond the tests. Some examples Kolis cites are students who study social studies explore the human experience and math to look at patterns.